It’s that time again! 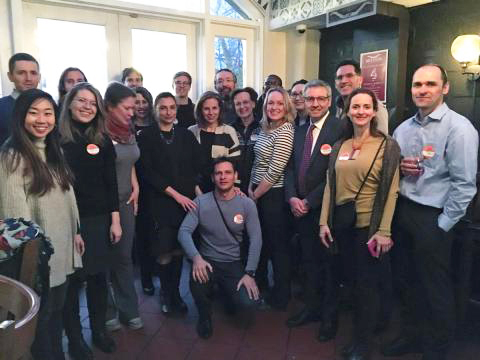 CEU Alumni and Friends in the Washington D.C. area are invited to a very special happy hour on Friday, March 29, at Mission Dupont, with Serge Sych (IRES ’97, LEGS ’99) CEU VP for Enrollment, Careers and Alumni Relations. This annual event is a great way to get together with your friends in the local alumni community and to hear directly from Serge about the latest news from your university. As always, your first drink is on us! This promises to be a great evening in celebration of CEU's amazing alumni community.